Starting with a new project. Name it as Northwind. Click Next button. 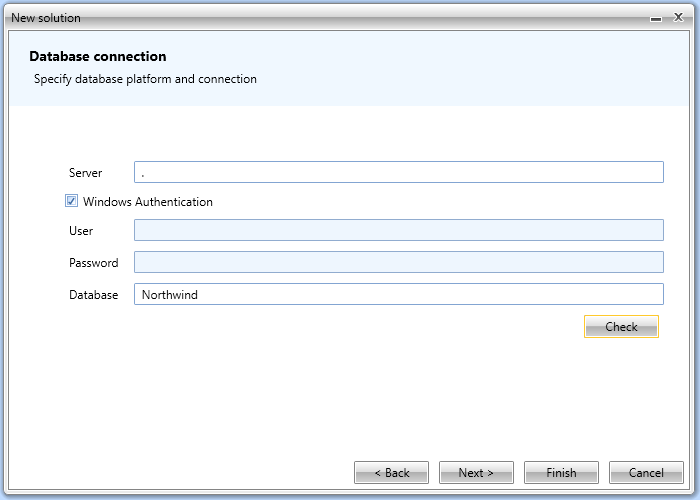 Specify SQL Server connection. 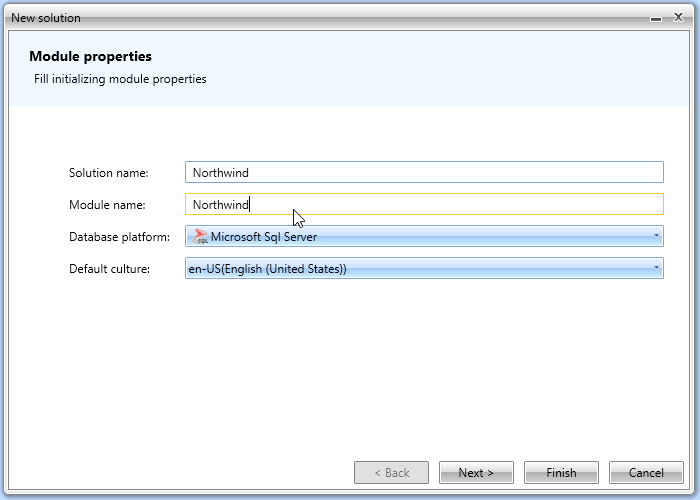 At this point you should have Northwind database installed (see chapter description). 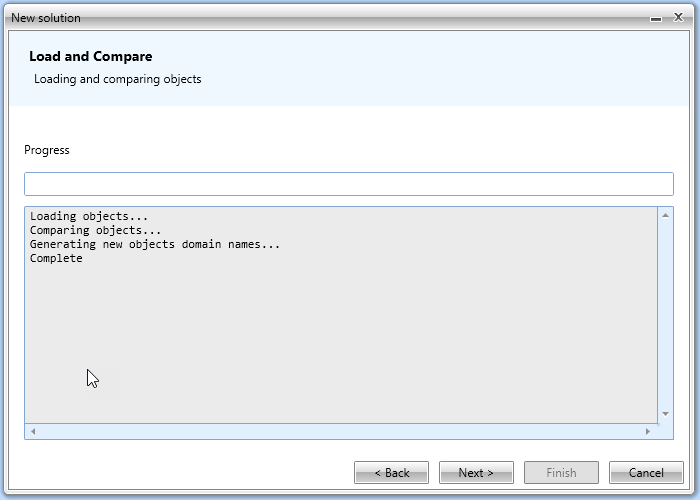 You can specify a connection string in Server field. 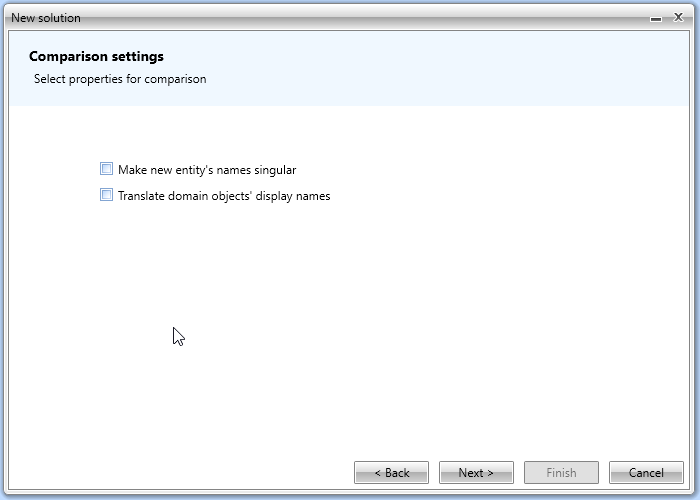 Uncheck import settings. Click Next. 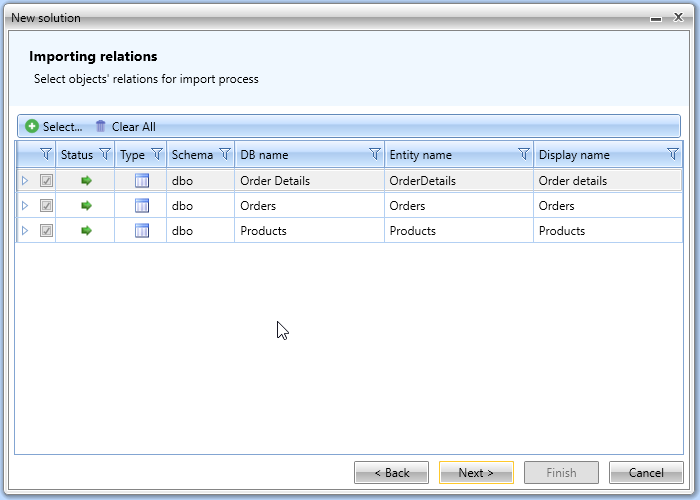 You will see db import log. Click Next. 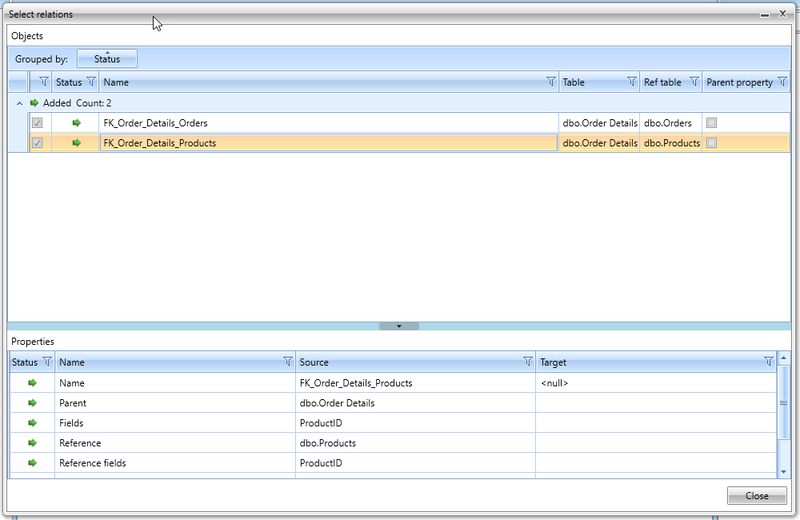 Next step is to select db objects for import. Select Order Details, Orders and Products tables. Click Close. Confirm object selection. Click Next. 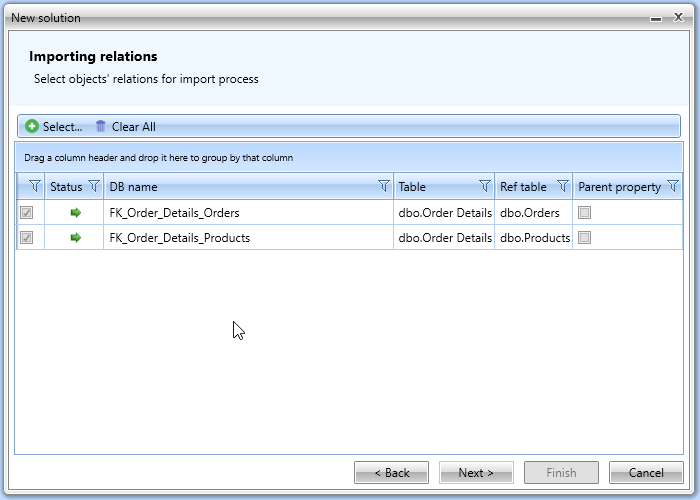 Select all foreign key objects and click Close. 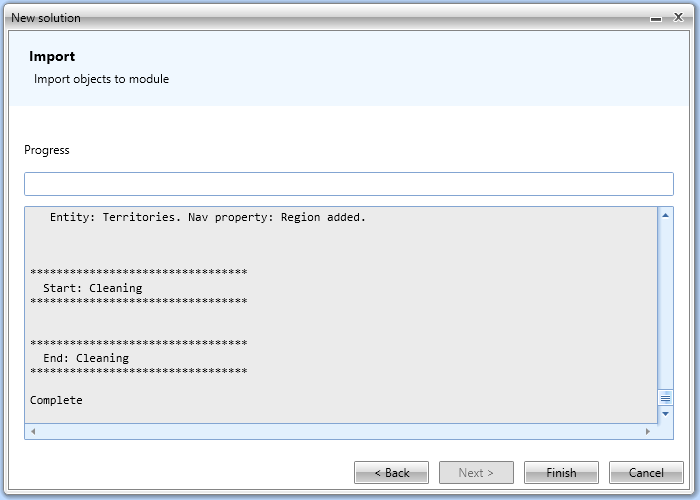 Confirm foreign key selection. Click Next. Import settings are ready. Click Finish to start import process. 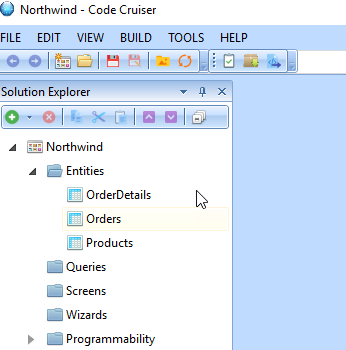 As a result you will be able to see a list of Entities from Northwind database at project explorer. 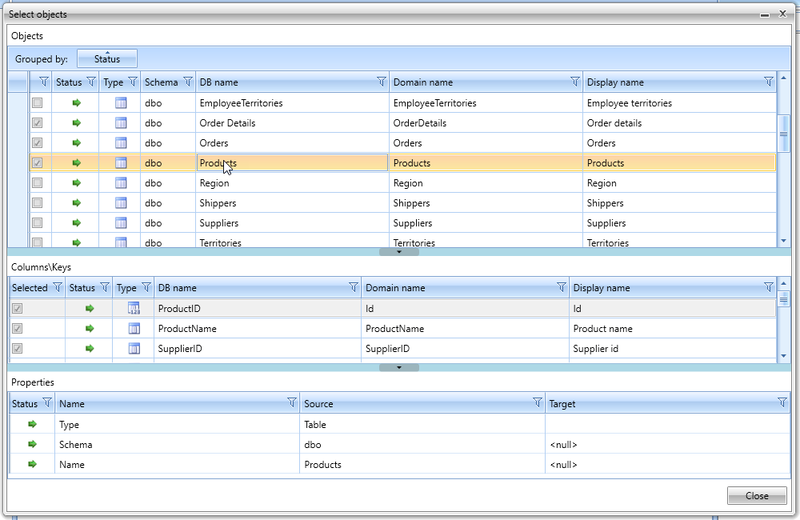 Next step is to setup Queries.